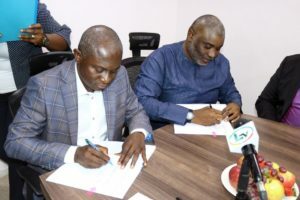 As part of the systematic agenda of the State government to ensure energy security in the State, Ibile Oil and Gas Corporation has signed a Memorandum of Understanding with a major oil company, Petrolex Oil and Gas. Speaking at the signing of the agreement in Ikoyi, the Commissioner for Energy and Mineral Resources, Mr. Olawale Oluwo revealed that the State Government, through the Ministry of Energy And Mineral Resources, deliberately commenced a reform process in the energy sector to further guarantee energy security of Lagos. According to him, the energy reform process, which is divided into three major sectors: the electricity reform, the gas reform and the downstream petroleum reform, were crucial to providing stability in the oil market through which the State’s economy can be advanced. Oluwo revealed that the State government is fast moving to ensure massive revolution in downstream petroleum sector to ameliorate the crisis of fuel scarcity that often cripples and shuts down the economy of the State, adding that Ibile Oil and Gas has been the major platform driving this reform process. “The first stage of the downstream sector reform is the product security which we are today signing its agreement with Petrolex, a major downstream petroleum company with massive capacity. This would pilot the process to have distribution security that will afford Ibile Oil and Gas to have major distribution stations at strategic locations and partner other petrol stations to provide petroleum products consistently at a regulated price”, he affirmed. He disclosed further that the ultimate desire of the State government in the energy security initiative is to achieve utmost deregulation of the downstream petroleum sector in Lagos and by extension the country as a whole. “Having taken cognisance of the instability in the downstream sector in the country, the State government realised that there is a major structural problem in the supply chain and we are committed to providing structural solutions to these challenges as we are ready to partner with Federal authorities to ensure the deregulation of the sector”, he submitted. 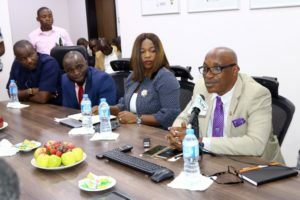 The Commissioner emphasised that breaking the cycle of inconsistency requires an initial management of the supply chain pricing and distribution mechanism to engender deregulation, stating that after the agreement Petrolex plans to build the largest tank farm in West Africa in Lagos State. Also speaking at the event, the Permanent Secretary, Ministry of Energy and Mineral Resources, Engr. 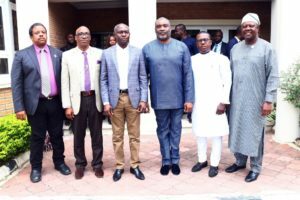 Ajibade Caster Bade-Adebowale affirmed that the agreement is a journey to end the season of petroleum scarcity in the State as Governor Akinwunmi Ambode is determined to see this reform yield positive impact. 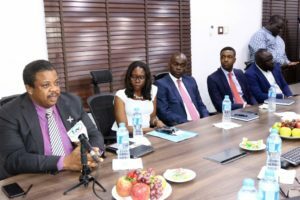 Speaking in the same vein, the Group Executive Director of Petrolex Oil and Gas, Mr. Olukayode Adelaja described the partnership as very commendable, stressing that the agreement would provide the company with an opportunity to put its vast infrastructure at the service of the State. “The synergy is to create a service delivery level that is consistent and sustainable and with the support of the State government, our company is committed to reforming the downstream sector of the State to change the narrative of product distribution”, he declared.